I went into our 7th grade Family and Consumer Science classes both yesterday and today. The kids had just finished a research project on a career they were interested in. It was great to be able to go into classes and talk with them as they have just finished their research. Who has ever been on a college campus? How many of them have researched a career that requires some sort of training or college? What are some reasons you think people don't go to college? I then talked to them about how college can be affordable. Even Cornell University (which is in our backyard) has a program where if your parents make under a certain amount, has a no loan program. This makes it truly affordable for everyone. We also crossed off the list "not smart enough". Community colleges will accept everyone from the counties they serve. You may not be able to get into a particular major right away, but you can take the classes that will help you to get there. "Disabilities". Some colleges have special programs for students with even significant disabilities. Maybe students won't earn a degree, but they will learn independent living skills and job training skills to help them find a job. "Don't want to". Really this is the only reason for people not to attend college. My hope for them, however, is that they want to, and will help them get there. From there we played College Prep BINGO. 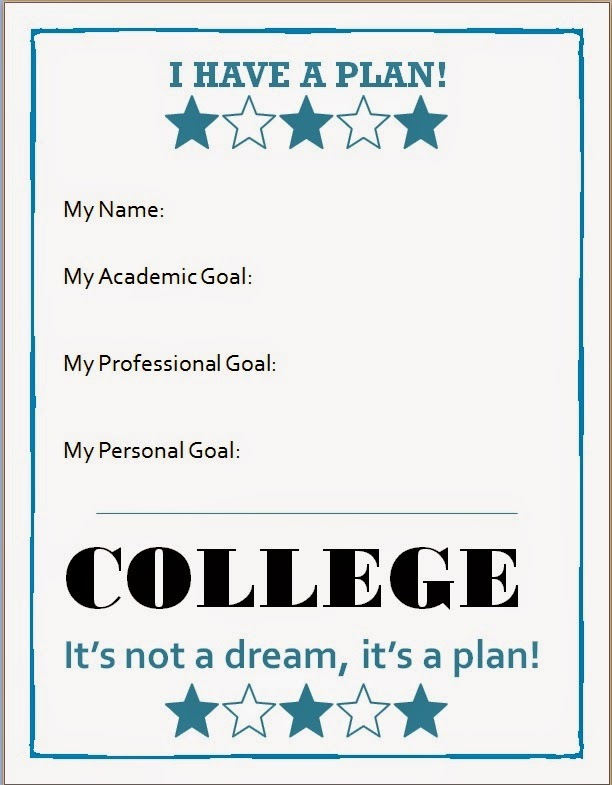 I also had them fill out the I Have A Plan worksheet, which I have hanging in the hallway outside my office. and I asked them to write on a post it note one thing that they learned with me today. I had them post it on an easel located by the classroom door. You can go to college even if you don't have enough $. College isn't a dream, it's a plan. 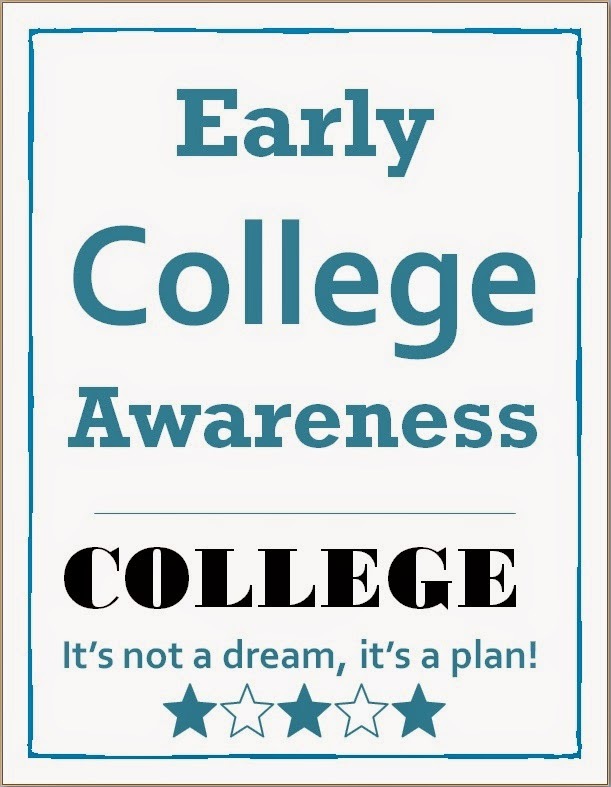 That it is never too early to think about college. I would really appreciate it if you would send me the bingo board and "I have a plan" worksheet. Thanks. My email is jantrey.meyer@egsd.org. I would also love to use this in my FACS class! Thank you! Love the I Have a Plan and College Prep Bingo! I work in an AVID elementary school. Any chance you would be willing to share the templates for these? My email is mdavidson@woodburysch,com Thanks! Hey Carol! This looks great and it's something that I would like to try with my 7th grade students. If you don't mind, can you please send me a copy of this lesson plan? My email is: holderr@arps.org. 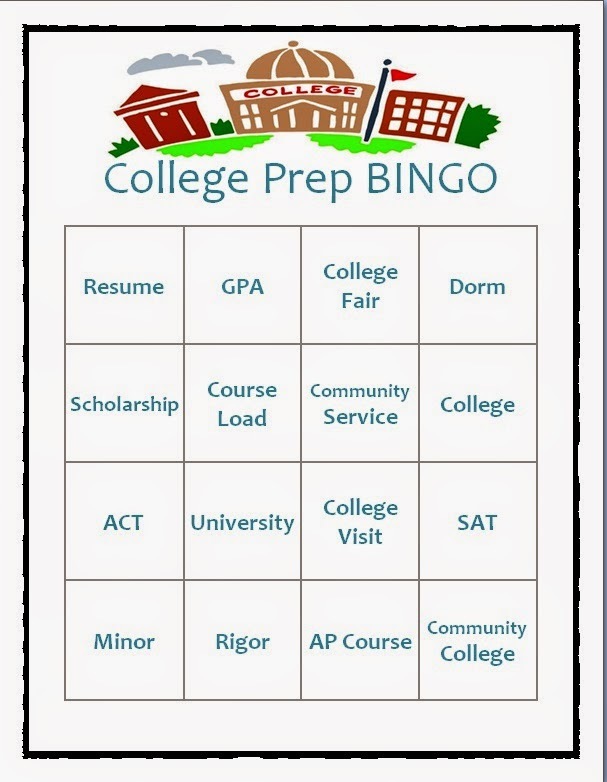 can you please send me the instructions on how to do the college prep bingo? 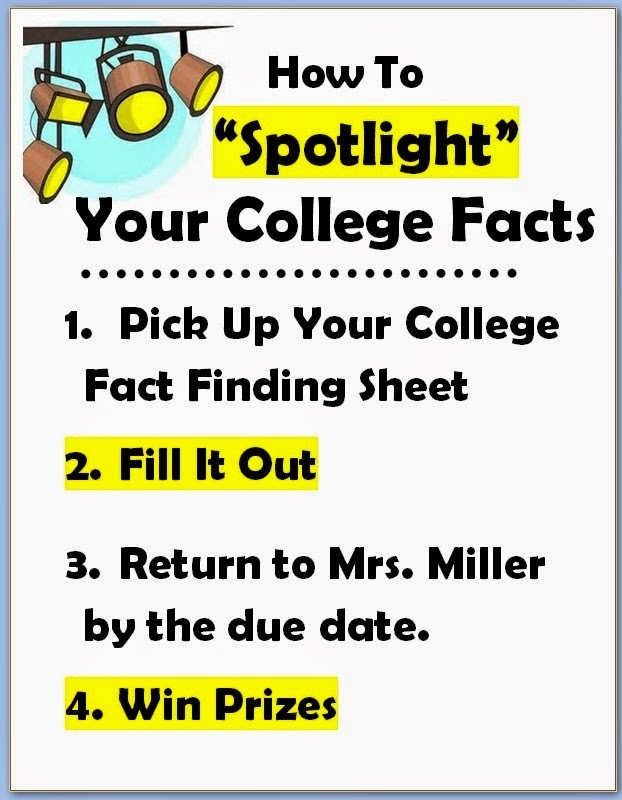 Hi, I would love to have the college bingo and any other worksheets that you may have so that I can do a lesson with my students and your ideas will make learning fun. My email is lakeesha.williams@polk-fl.net. What are some of your prizes that you gave to students? Hi Carol, what a wonderful lesson! 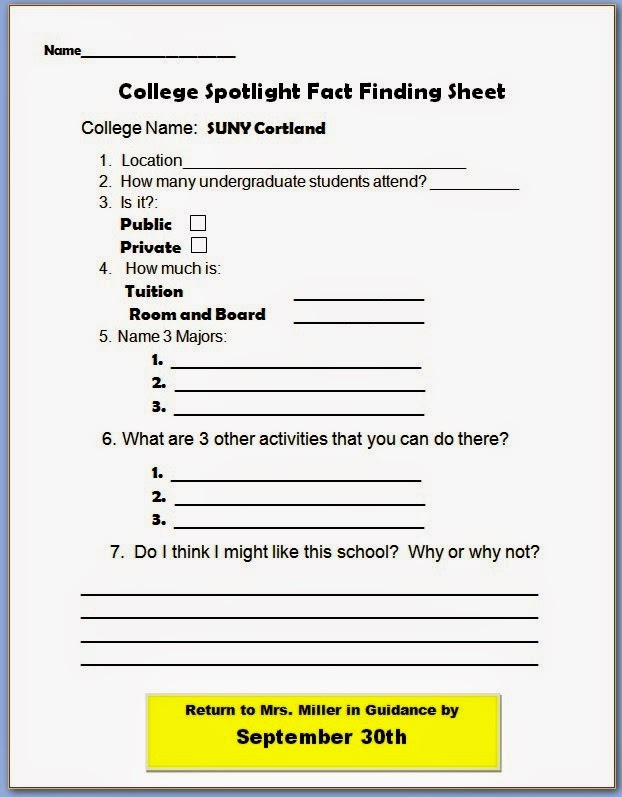 I am working on my internship at a College Prep Middle School and would love to use these worksheets with my students. When you have an opportunity could you send them to me at ldewhirst@mycpms.net. Thank you so much! We just had a College Night at the elementary, and I did not thing it was too successful as expected. These handouts gave me some ideas. We just had a College Night at the elementary, and I do not think it was too successful as expected. These handouts gave me some ideas. I just saw this on Pinterest and I was wondering if you would be willing to send me the handouts. I teach Exploring Careers in 8th grade and this is so perfect! westsayes@yahoo.com. Thank yo in advance. I am a graduate student and would love the templates of this lesson if at all possible! thank you! Hi could you email all the materials for this lesson to a.jardine86@gmail.com. I love your lesson and your handouts! What a wonderful idea! Could you please e-mail them to me at mistylynn.vandam@gmail.com? Hi, I love this lesson. Could you please email me the materials and instructions, or tell me where I can download them? Thank you so much. Hello, great lesson! Would you please email the documents to mrsrenwill@gmail.com? Please email documents to crystal7_us@yahoo.com. Hi! 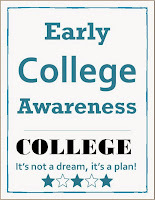 I would like to use your college awareness packet and instructions. Can you send it to smcgirt04@gmail.com. Thank you. Love the lesson! Can you please send the lesson and instructions to rmcdowell@aacps.org. Thank you! Are these materials available? They are great! I would love a copy if you could send them to sarah_gosdin@allenisd.org. Thank you!